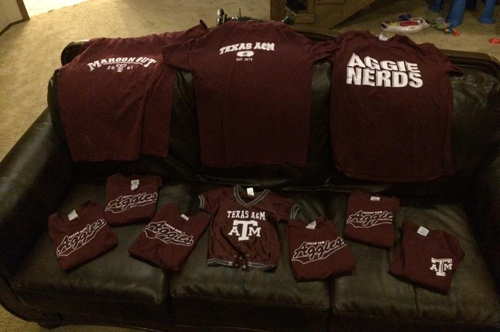 I know that the entire internet has been thinking, “I wonder how the Wood family trip to College Station went…” Good news, Internet. Here’s a summary. Oh, and I’ll apologize ahead of time. I’m just going to quickly throw this blog (and probably all future blogs) up here. There will likely be some typos-hopefully nothing as atrocious as using “there” when I should use “their”. It’s probably going to be a bit disjointed. I’m giving in to the fact that I simply don’t have the time to edit and prepare a blog post the way the “experts” recommend. Sorry, grammar sticklers and blog aficionados. ‘Twas time for Mary to embark on a grand new adventure. After a 4.0 at A&M Corpus Christi (she’s awesome like that), she decided to leave the beach life behind and transfer into Texas A&M (WHOOP!, by the way. My wife and I are class of ’02 and ’03, in case you didn’t know). So, we (and by “we”, I mean my awesome wife and Mary-who were finished before I got home to help) loaded up The Struggle Bus and Mary’s car as full as humanly possible. 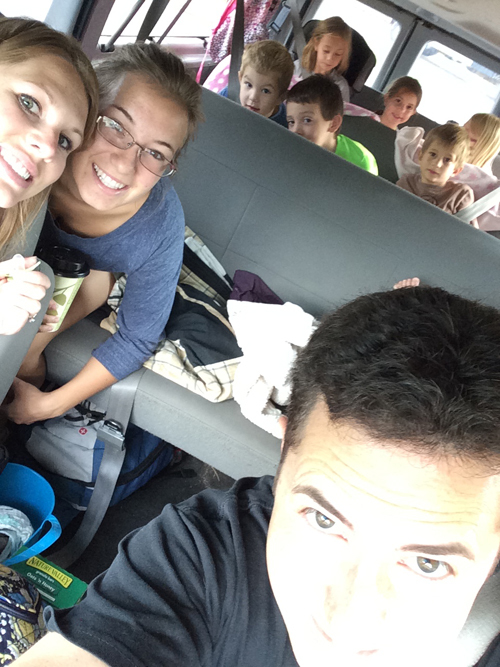 Yes, we refer to our van as “The Struggle Bus” because, as the rappers these days say, the struggle is real. We moved Mary into her new diggs near campus and got her shipped off to Transfer Camp. Then, the rest of us headed to Houston for a couple days until she returned. Houston, Day 1: With 2 exceptions (1. spending $3 or so in toll money every time that we drove somewhere, and 2. going from pleasantly dry to disgustingly sweaty in 1.8 seconds), Houston was awesome. 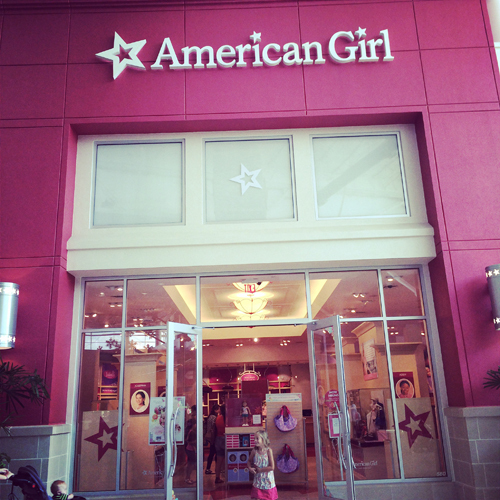 We went to the American Girl Doll Store. My girls LOVED it. 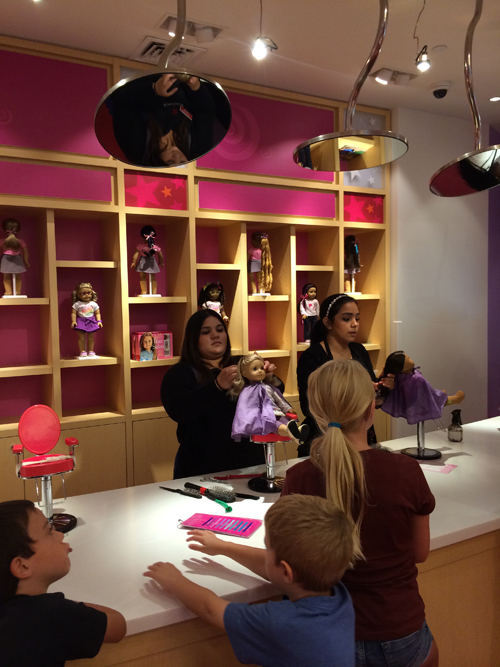 Here’s a picture of my daughter’s doll’s hair getting styled. Fair warning, fellow parents: this “styling” cost more than it costs me, a human being, to get my hair cut. 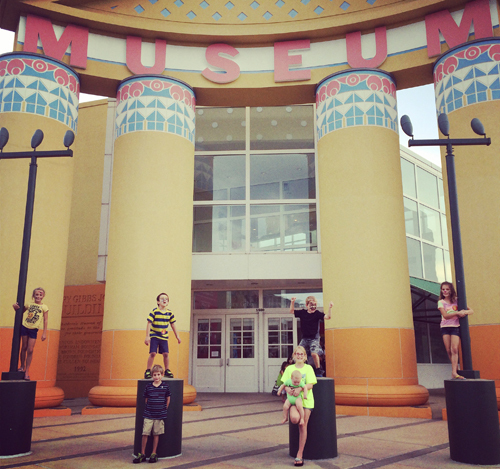 After that, we headed to the Houston Children’s Museum. This place is amazing. We spent 5-6 hours there and could have spent much longer. Bonus: we got in free with our Don Harrington Discovery Center membership. Houston, Day 2: we went to a church called “Bayou City Fellowship” that was on the way back to CS (my wife had heard of it via podcasts). It was small (only a couple hundred people in attendance). It met in a building called “The Wicked Pony.” I approve. 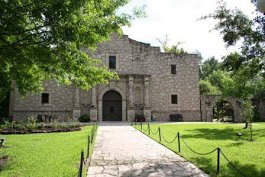 The kids’ church met in a replica of the Alamo (see below). I approve. Also, we noticed that Beth Moore happened to be attending the same service we were. My wife met her. They only spoke for a minute, but I think they’re pretty much bffs now. 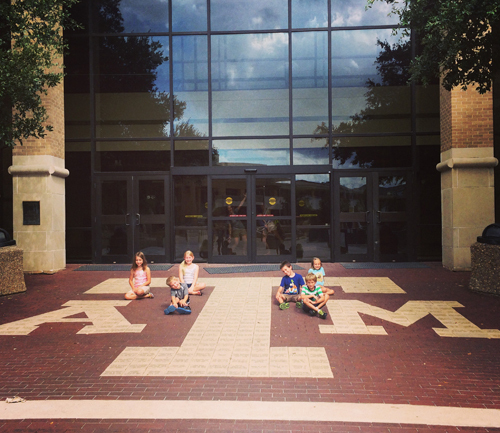 After church (and forming a sure-to-be lifelong friendship with Beth Moore), we headed back to College Station. But wait. What’s that up ahead? THAT’S A BUC-EE’S GAS STATION. Naturally, we stopped there to eat lunch. Our new friend Beth Moore must have chosen a different lunch option because we didn’t see her there. Oh well. Her loss. We loaded up with a Buc-ee’s chopped beef sandwich, Buc-ee’s hot dogs, Buc-ee’s beef jerky (which is some of the best jerky I’ve ever had), Buc-ee’s drinks, and, of course, a Buc-ee’s tshirt. 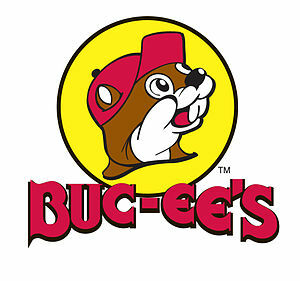 I LOVE BUC-EE’S! Back to College Station. By this point in the trip, we were getting a bit tired of hotels. That may have had something to do with the fact that our 8-month-old hadn’t slept for more than 3 hours at a time due to an ear infection. Argh. So, we prayed that the Hotwire lottery would be kind to us. We ended up at Manor Inn. I describe it as one of the nicest hotels to share a parking lot with an Arby’s. Success! During our days in College Station, we ate at all of our favorite local places: Wings N More, Freebirds, Layne’s chicken, Sweet Eugene’s, etc.. We got all Aggie’ed up at several Aggie stores. We toured campus. We met up with some dear old friends (alas, we didn’t have time to see everyone or visit our old church. Perhaps next time.) I stared in awe at the monstrosity that is the new Kyle Field. Pictures don’t do it justice. That thing is HUGE. Good Times. College Station is awesome. One more thing….we followed through on our Ice Bucket Challenge when we got home. We only had one runner and one crier. Success!